Gabriel presents his new album live with complete orchestra! 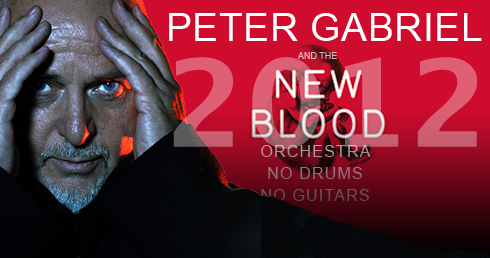 You may call it a sensation: Peter Gabriel decides to play the whole new album live around the world - with a 54-piece orchestra! Scratch My Back was released in 2010 and consists of twelve cover versions of Peter Gabriel without a regular rock band, but with a complete orchestra. Amongst others, Gabriel covers David Bowie, Paul Simon, Elbow, Radiohead and The Talking Heads. For more details, read our album review and the project information page. The live set consisted of songs from the new album as well as songs from Gabriel's own repertoire. The concerts took place with a full orchestra, which is why there were only a few shows planned in the first place.